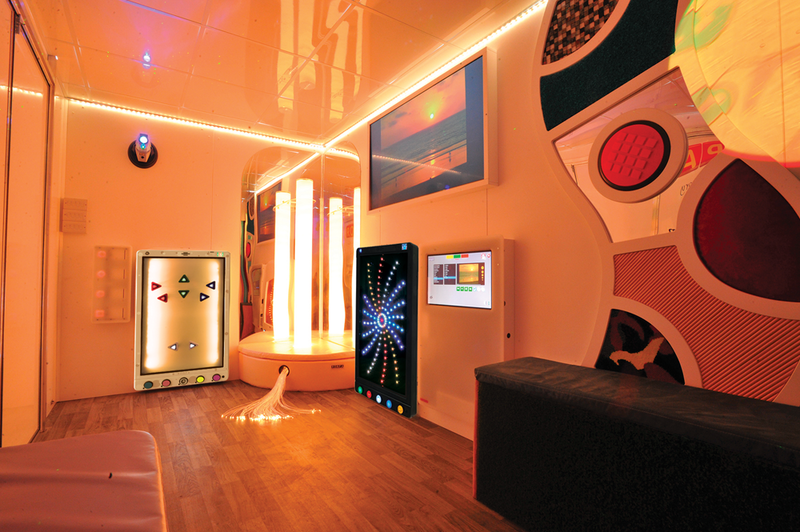 A Sensory Room on Wheels. 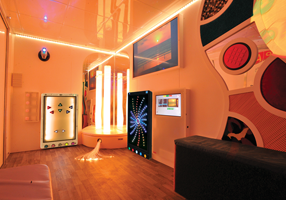 Now we can bring an interactive Snoezelen Multi-Sensory Environment to your event. 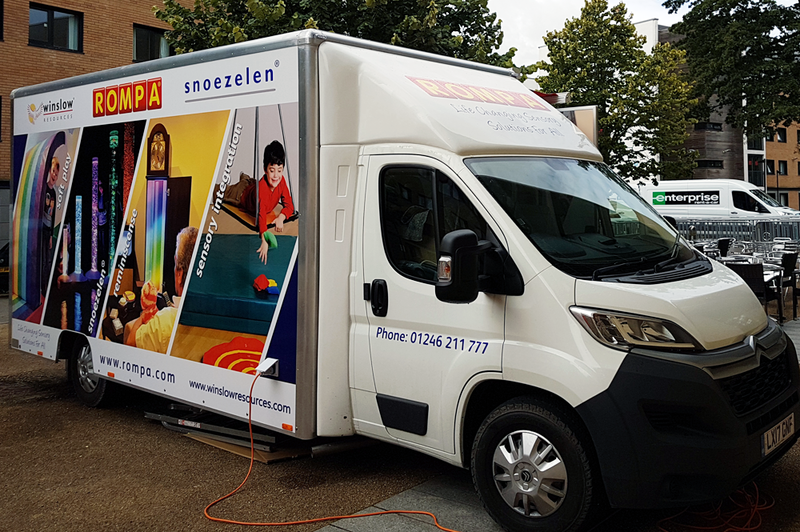 Let us introduce you to our new Snoezelen® Multi-Sensory Vehicle. 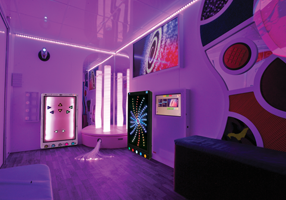 We are delivering Snoezelen® to your doorstep! 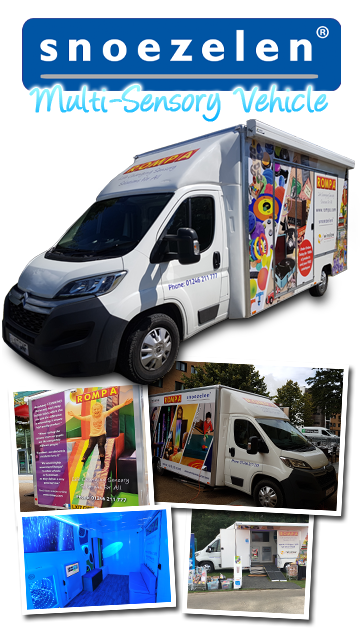 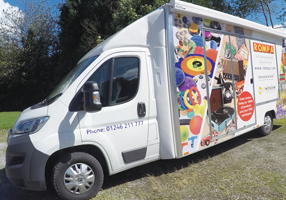 If you are holding an event, fundraising for a Snoezelen® Multi-Sensory Environment or want to try Snoezelen® then our Snoezelen® Multi-Sensory Vehicle is the answer! 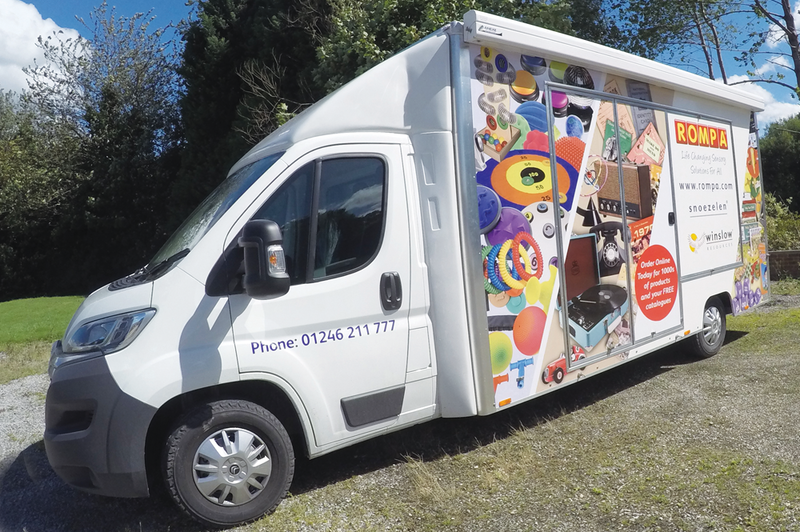 We recently did our first out door show and decided that we needed a new way of showcasing our product range. 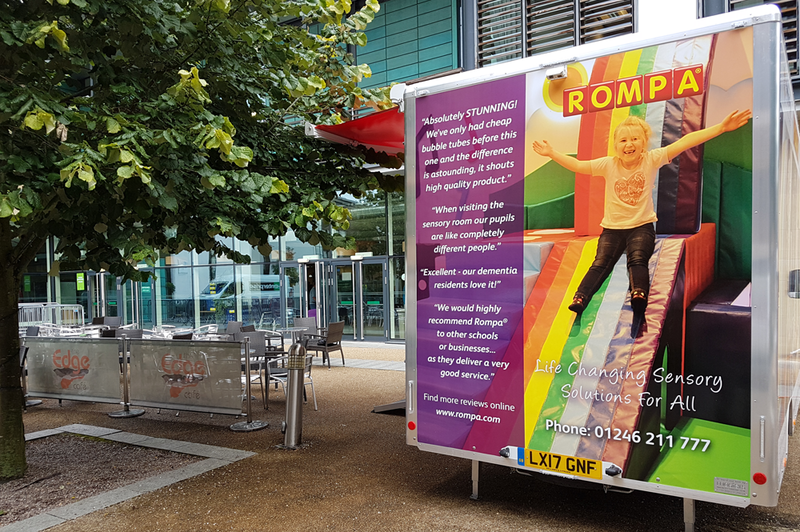 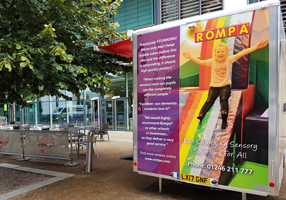 To enable us to bring a Rompa Sensory Room to you, we have created the Rompa Sensory Bus! 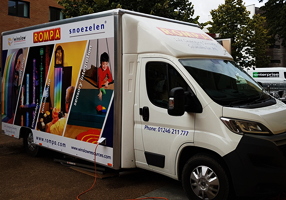 We think this will prove a great way to bring the concept of Snoezelen® sensory environments to a wider audience and demonstrate the immersive quality of a Rompa sensory room.